A father and his daughter and son live in a remote lighthouse in the mythical landscape of the old Celts. The family's life turns upside down when it turns out the little girl is the last of the selkies. She's the only one who can save all the faeries with the song of the sea as the evil witch Macha turned them into stone. 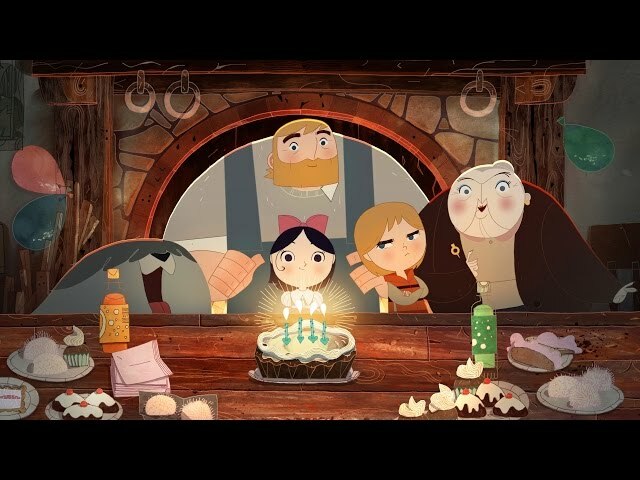 This beautifully animated world full of Celtic myths and the power of parental and sibling love was directed by Irish filmmaker Tomm Moore.